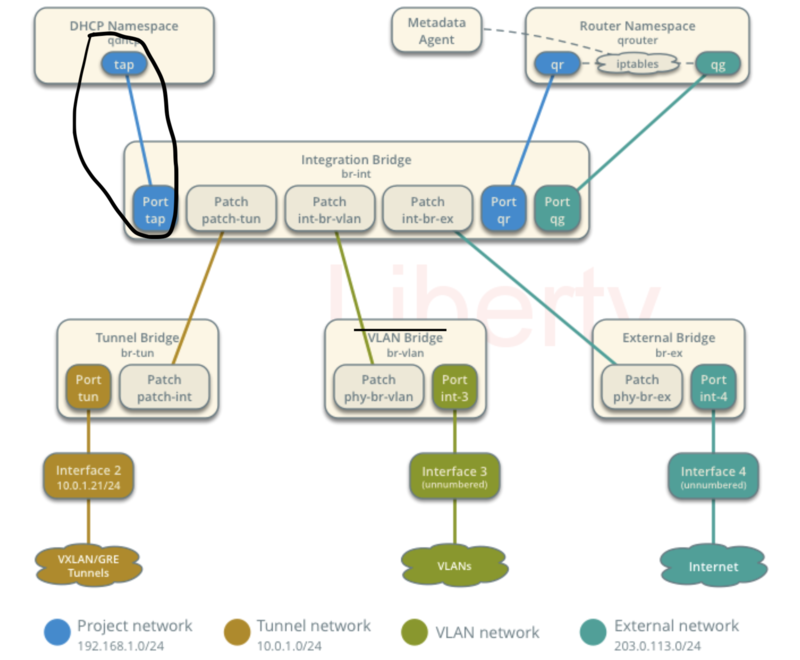 As illustrated in the picture, we can see that the interface used to connect ovs and dhcp-netns is a tap interface. While from the output of "ovs-vsctl show", it indicates that the type of interface is internal. That confuses me much. I am thinking that the tap interface is for the name of the interface instead of the type of the interface?